perfect for any type of rider - young or old, large or small. That's a pretty glowing reputation for a trike with a starting price lower than almost any other trike on the market. Its success, however, lies in its reliability and usability. Featuring the strongest frame in our lineup and a high seat position, the Rover is perfect for anyone who needs a sturdy, no-nonsense machine. 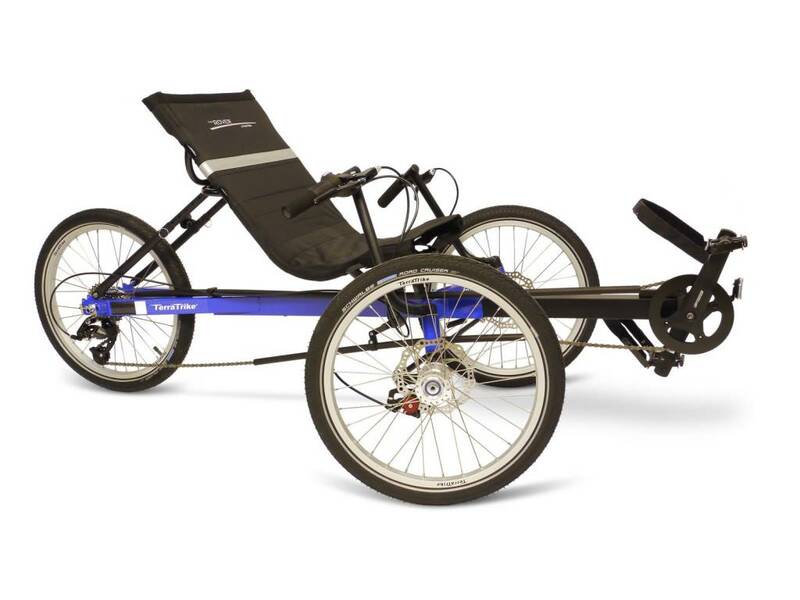 The Rover is also our most versatile trike, ideal for riders with adaptive needs. You owe it to yourself to experience the joy of riding a TerraTrike, and the Rover is the perfect way to make the leap. The Rover has changed the triking world, and it will change yours too. 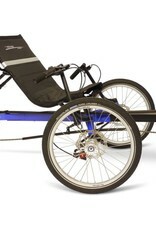 It features disc brakes, an easily adjustable seat, and twist grip shifting. It can also be outfitted to the nines with lights, panniers, fenders and more. The robust Hi-ten steel frame provides a weight capacity of 400 pounds, more than most trikes on the market. The Rover is designed to provide a smooth, comfortable ride with no complications. That is why we have made it available in three versions. The 8 speed external drive features silver rims and an external rear derailleur. It also features a lifetime limited warranty and an attractive price. The 8 speed internal also features the original silver frame and decal pack. The rear hub features an internally geared system that is maintenance free, easy to operate and perfect for the bike trail. It also comes with our lifetime limited warranty. The NuVinci N-360 hub uses a continuously variable shifting system to give the rider minute control over the ride of their trike. It is a zero maintenance, zero learning curve, zero intimidation hub that makes trike riding a blast. There is no derailleur or fixed gears to worry about, and it doesnâ€™t matter if you are pedaling or not to shift. All the rider has to do is twist the shifter on their handlebar, and the hub seamlessly increases or decreases the gearing immediately to what feels best for the rider. The gearing range goes low enough to tackle tough hills and high enough to satisfy the need for speed. It also features our limited lifetime warranty.